Click on the cutting or headline for a readable version of the article or for digital subscription options. 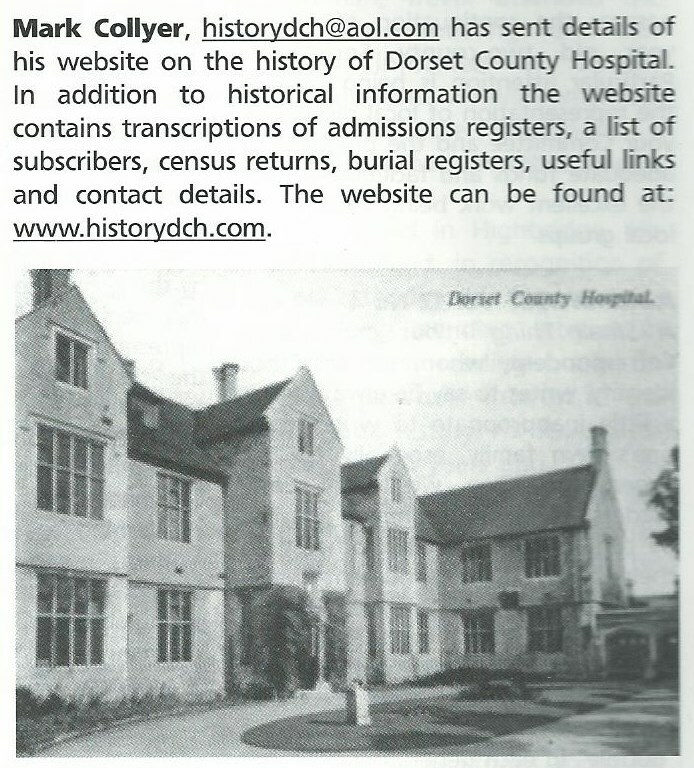 Dorset County Hospital’s history and this website are featured in the November 2014 issue of The Greenwood Tree, the journal of the Somerset and Dorset Family History Society. You can join the Society or purchase a single issue of the journal. The full text of the article is available on this website here. 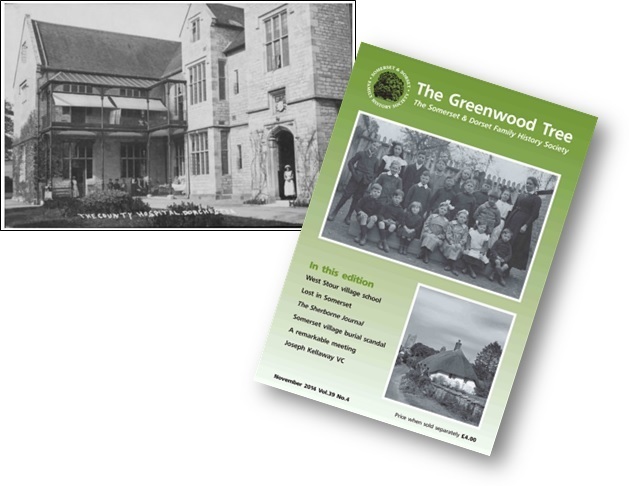 Dorset County Hospital’s role in the First World War is featured in the August 2014 issue of The Greenwood Tree, the journal of the Somerset and Dorset Family History Society. August 2014’s Family Tree magazine included a feature on this website. The magazine is available online (£3.99 for a single issue). Family Tree magazine carried a news item on this website in its July issue. 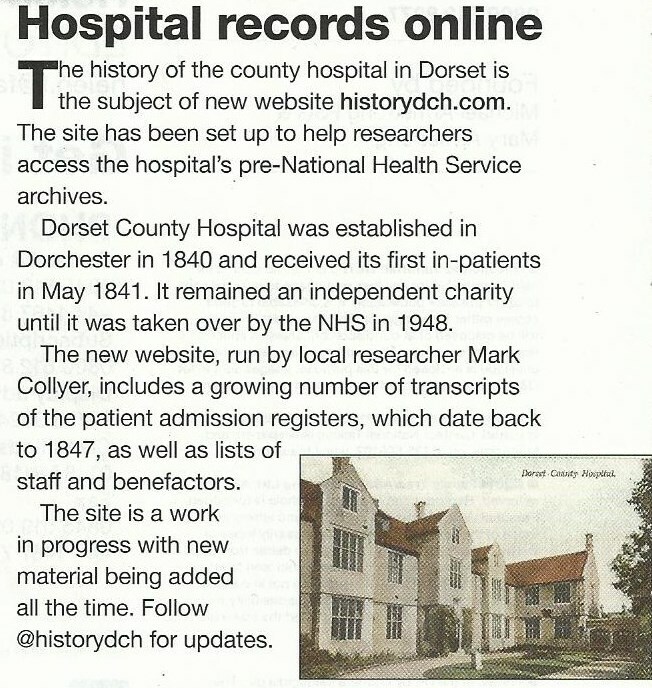 Dorset County Hospital’s Staff Magazine published this article in early summer 2014 (click the masthead to read the article). The county’s local newspaper, the Dorset Echo featured this website in June 2014 (click on the headline to read the article). This item appeared in the May 2014 issue of The Greenwood Tree, the journal of the Somerset and Dorset Family History Society.